It’s that time of year again. The International Wine and Spirits Competition have run out of wine and spirits to judge and their eyes have turned to the world of drinks shops. It’s only the second year that they’ve had an award for Online Retailer of the Year, and again we are in the running for the prize. 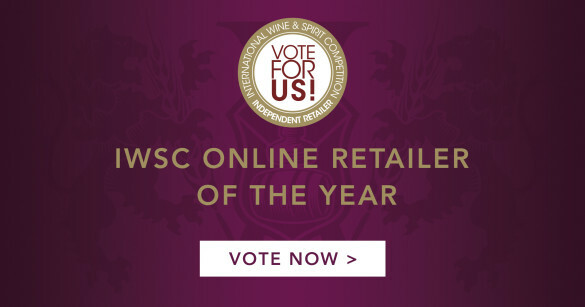 The folks at the IWSC have sweetened the deal this year, and everyone who votes will be entered into a draw for a case of award-winning wine and spirits. If you want to see what sort of whiskies that might include, we’ve got a list of the top winners from this year over here. Whether you vote for us or not, thanks to all of you for another year of supporting us here on the blog. Don’t forget that if you have any feedback, you can send it over through our contact form – let us know if you like what we’re doing and what we can do better.